The prototype photos show dice with stickers on them. Is that what the real dice will look like? The dice pictured are 19mm indented dice with stickers. They are made only for the prototype game. 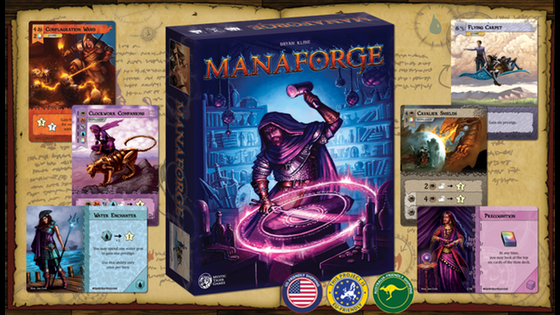 The dice in the production version of Manaforge will be 16mm cubes, engraved and filled with black ink. The symbols on the dice will be recessed and should last a very long time. The prototype photos show dice with stickers on them. Is that what the real dice will look like? I want to know when my reward is shipping. I am having trouble filling out my survey. I would like to make a change to my pledge. I would like help with preorders. I have a issue with my pledge finances. I have a question for the project creator. I have a question not listed here. I want a refund for my initial campaign pledge. I have a question about BackerKit.